PLEASE SEE OUR LITTERS PAGE FOR AVAILABILITY. Aust Ch Alubyc SS Enterprise, but to us just our most beloved "Harry. "born in January, 1985. 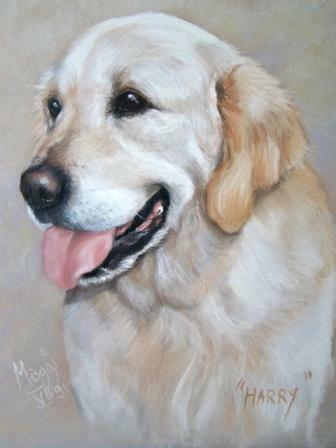 There are many many beloved dogs along our "Golden" journey. IF YOU ARE INTERESTED IN A PUPPY PLEASE READ OUR "LITTERS" PAGE. Gold Coast City Council CRN 5108237 Reg Breeder. We are a small family kennel established in 1971.
quality, classic style and longevity due to freedom of hereditary defects. We place utmost importance on true golden temperament, considered to be the hallmark of the breed, correct structure retaining the ability to work in the field and adhere to our personal preference of true English type. All our dogs have excellent results for hips and elbows prior to breeding. In addition, their eyes and hearts are also checked. DNA sampling is done to check for PRA 1 & 2 as well as ICT-A status, with an aim to produce stock clear of all defects. Our current Goldens are a combination of our old homebred lines since 1971 as well as our current imports from Italy, Germany, Ireland and New Zealand. 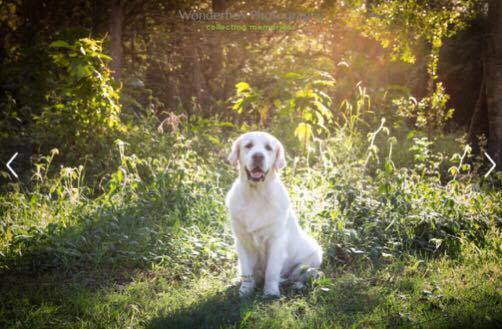 We respect the original standard of our breed and can trace the lineage of all of our dogs back to many of the most notable and influential forebearers of our beautiful Golden breed. Although we primarily have goldens, we also have our "Abbey Rose" the Flat Coated Retriever and our dear little "Edna" the whippet..